The second-biggest IPO of 2019 . . .
Just set the price range for its initial public offering. Go here to grab pre-IPO shares at a huge discount. Pinterest is a social media site where people share photos and videos. The site is very popular – especially with women – and attracts 250 million visitors per month. Pinterest just updated this S-1 filing with the Securities & Exchange Commission. The IPO is now expected to be priced in a range of $15 to $17 per share. The $1.2 billion financing and $10.6 billion market value make this the second- largest IPO of 2019. Lyft (NASDAQ: LYFT) raised $2.3 billion in a March IPO. Pinterest already has $628 million in cash on its balance sheet. And after going public, the company will hold over $1.8 billion in cash. The Pinterest investor roadshow starts this week. And regular folks will be 100% LOCKED OUT. Click here to claim your Pinterest pre-IPO shares. 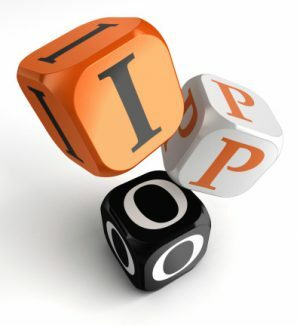 Rapid growth is the real attraction of new IPOs. Consider other social media companies. Facebook (NASDAQ: FB) grew its sales 37% last year. And Twitter (NASDAQ: TWTR) grew by 31%. Meanwhile, Pinterest sales jumped 60% last year. Pinterest has been aggressively growing its sales . . .
Last year, the company reported a net loss of $63 million. That was a 51% drop from the $130 million net loss in 2019. The declining net loss is incredibly important. It shows that Pinterest is committed to becoming profitable. In fact, it could be possible for the company to achieve “break-even” in 2019. Don’t wait for the April 18 IPO. Get pre-IPO shares today – click here now. This is a stark contract to Lyft – which has seen its losses grow in recent years. For example, Lyft reported a loss of $911 million in 2018. That was up from $688 million in 2017. Those losses have been one of the biggest concerns regarding Lyft . . . and a cause for the stock to trade sideways following the IPO. Early investors know the secret to making money with IPOs. You’ve got to secure discounted shares – at the best possible Pre-IPO price. Click here now to claim your Pinterest shares. Who Gets Uber Shares in the Bezos Divorce?